Winter has officially arrived, which means that the temptation to go into hibernation (read: glued to Netflix with a bevy of snacks) is increasing at an alarming rate. Hold it right there, pals – staying active doesn’t have to be a chore. Sometimes a change of pace, scenery or style can be just the shake-up that your routine needs. In partnership with our pals at Water3, we’ve picked out some awesome activities that will have you working up a sweat and having some serious fun. Here’s some real talk – everyone can dance. Once you get over the fact that we can’t all be Beyoncé, going hard to some rad tunes without a care in the world is a great way to get your heart racing. No Lights No Lycra is an awesome initiative that is exactly what it sounds like – dancing in the dark with absolutely no judgement while wearing whatever you’re comfortable in. If you’re keen to get an anonymous groove on, you can check out No Lights No Lycra at West End. If you’re chasing an activity to challenge both your body and mind, rock climbing is where it’s at. Not only do you have to manoeuvre your body and pull your own body weight across some very tricky terrain, but you also have to use your critical thinking skills to assess your next move and solve and tricky path problems as they pop up. There are plenty of venues that cater to those of all skill levels, so there is no need to fret if you’ve never tried it before – you’ll probably surprise yourself with how much fun you have! 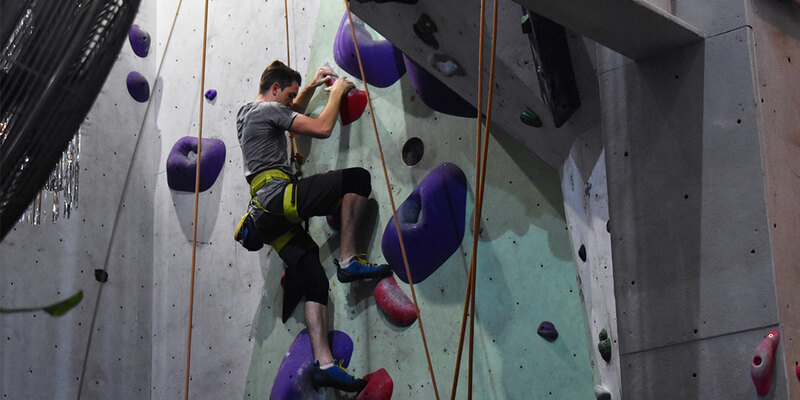 There are a number of locations where you can get your climb on, like Rocksports in Fortitude Valley. There are few sports that garner as much street cred as surfing – being able to shred the waves (or even just stand up on a board, let’s be honest) makes you instantly cool. As well as the social benefits, surfing is also a killer cardio workout that engages your core and improves overall strength and reflexes. You may think that if you didn’t learn to surf as a kid that you are doomed in this category, but this isn’t the case – companies like Currumbin Alley Surf School cater to adults. Fancy a workout that will work the heck out of your core and seriously test your balance? Perhaps it’s time you got acquainted with stand-up paddleboarding. SUP (what the cool kids call it) is a great alternative watersport if surfing doesn’t appeal, not to mention that the paddling part will give your arms and core a lot of attention. 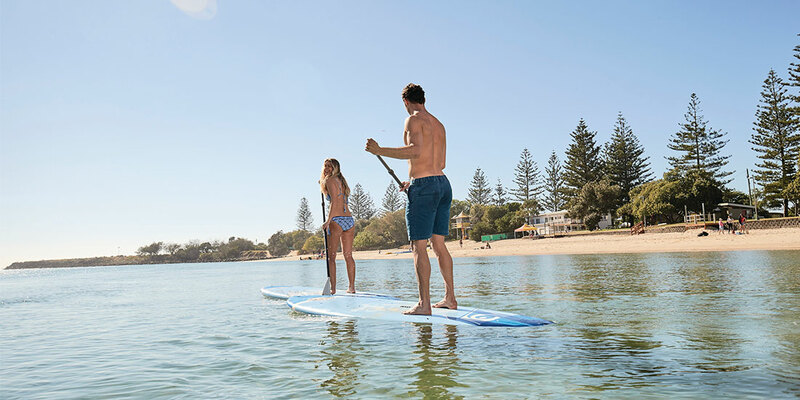 Spots like Brighton, Currumbin Creek and Raby Bay are great for first-timers and seasoned pros alike, boasting calm conditions with a side of pretty scenery. Thrill seekers, assemble! There’s nothing quite like the rush of scaling your way down a cliff face like you’re James Bond, and abseiling allows you to do so in a safe and controlled way. With the help of an instructor you will use strength, motor skills and mental fortitude to work your way down some tricky terrain, all while getting to take in some seriously stunning views. 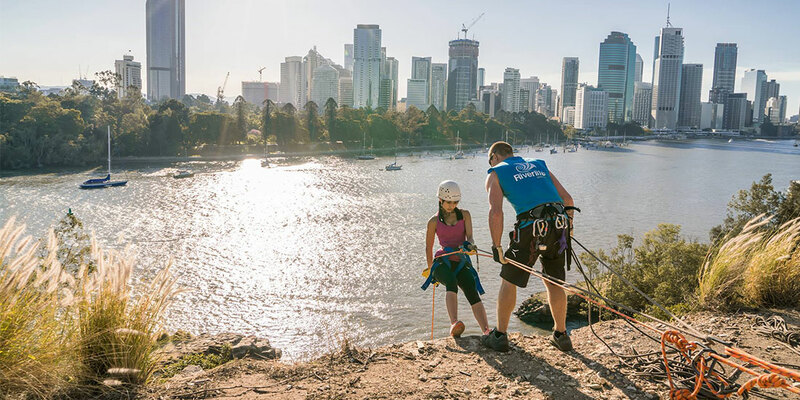 If you’re down to hang, Riverlife at Kangaroo Point is a great place to start. Worked up a serious thirst? All of these activities are within easy access to a Water3 refill station, so you can fill up and cool down guilt-free. For more information on these eco-friendly water dispensaries and how to live your life unbottled, including a list of locations, head to the official Water3 website.